tags: Power. Grace. Wisdom. Wonder. Set in 1918, Princess Diana grows up on the Amazon island of Themyscira. American pilot Steve Trevor crashes offshore of the island and is rescued by Diana. After he tells Diana about World War I, she leaves her home in order to end the war. Diana, princess of the Amazons, trained to be an unconquerable warrior. Raised on a sheltered island paradise, when a pilot crashes on their shores and tells of a massive conflict raging in the outside world, Diana leaves her home, convinced she can stop the threat. Fighting alongside man in a war to end all wars, Diana will discover her full powers and her true destiny. 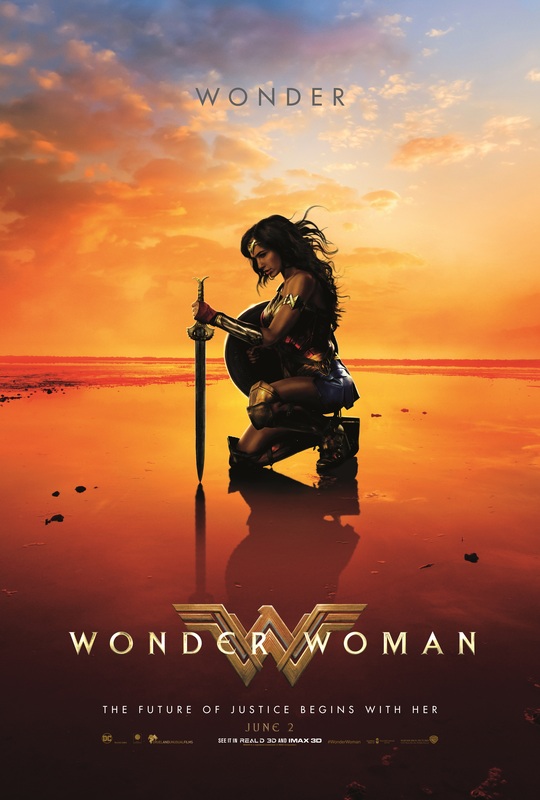 The film does its job of setting up the backstory of Wonder Woman but it shouldn't be receiving as much praise as it is getting. At the start, you get back story of her and the world the universe is in but if you are a good listener and use logic, you will know something is amiss and you get frustrated at Diana for not figuring it out for herself, this casts a bad shadow over the rest of the film in my opinion as I had that as a constant nagging thought. Which also ruined the 'plot twist'. The cinematography for the action was the main good thing for me. They slowed it down so you can see the punches make contact and it isn't flurried random action. However, the permanent gray filter after leaving the Amazonians Island can make it difficult to see at times. However, I have one major complaint in relation to the action. You see people get shot and stabbed but there is no blood whatsoever. People are mortally wounded and killed by guns but there is no wounds or blood. Diana tries to put pressure on a wound of a friend that doesn't exist and when she removes her hand it isn't bloodied. This issue makes the film extremely unrealistic despite it trying to be gritty and realistic. Also, it isn't reassuring that at my screening, people were not laughing at the 'comedy moments'(which if you like cringey awkward misunderstanding humour you will love it) but they were instead laughing at what were meant to be serious scenes. Besides the action scenes, it was just okay. I personally did not end up invested in the romance or any of the characters and it wasn't funny when it was trying to be. 1.) The humor was on point. I can't say how many times I busted up laughing the first time I watched it and the humor still gets me laughing even after seeing it four times. Everyone plays off each other perfectly for optimal laughs and very few jokes fell flat for me. 2.) Everyone does a great job acting. Gal Gadot pulls off a great naive, young Wonder Woman who is fascinated by literally everything for the first half of the movie. Her emotional transitions are pulled off well throughout the whole movie as well. Her role as Wonder Woman is one of the best superhero characters in my opinion. Chris Pine also does an awesome job portraying a WWI soldier who doesn't really know how to handle this whole Wonder Woman thing. In this movie, I truly got behind the characters. 3). The action is interesting and a lot of fun. None of the action scenes got too long and all of them were enjoyable to watch. 4.) I liked the story. It's not often that we get a movie based in WWI. Everything flowed well and the villains were convincing. I actually cared about the plot because it was interesting and engaging.